We invite you to respond to the challenge of Pope John Paul II when he said, “duc in altum” which means cast out into the deep. Why? Because Christ commands us to. He has chosen us and we must respond: “It was not you who chose me, but I who chose you” John 15:16. Answer His call and climb the mountain in search for truth that is only found in God. We have a responsibility to be formed at a deeper level, to become the martyrs of the third millennium. 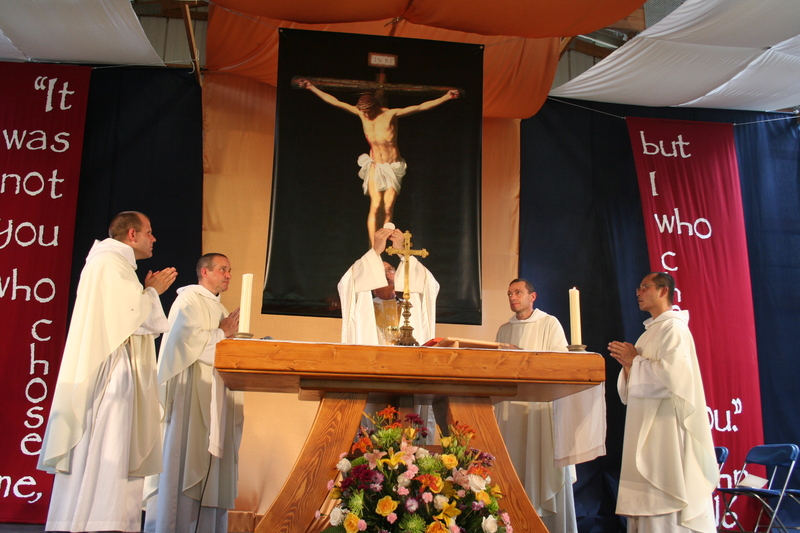 The Saint John Summer Conference is rooted around the prayers of the Church. Chant the Divine Office with the Brothers and Sisters of St. John, receive Him in the Eucharist each day at Mass, and read His word during daily Lectio Divina. Special Liturgical events for the weekend include a solemn Mass in memory of our Lord’s last supper and a celebratory Mass with Father John Michael Paul, C.S.J. Vicar of the Americas, on Sunday. The Eucharist is the culmination of our Christian faith and it is here that Christ Himself will meet you: “I will not leave you desolate; I will come to you” John 14:18. For this reason, we invite you to take advantage of perpetual adoration which will be available outdoors. You will have the opportunity to adore our Lord throughout the day or in the silence of the night. A holy hour will be led each day with meditations and music to help draw you into prayer. We will also honor Him through a Eucharistic procession on Saturday evening. 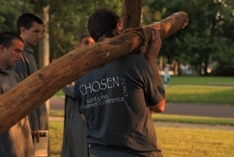 Take part Friday night in the carrying of a life-size cross through the streets of downtown Peoria. Through guided meditations and prayer, learn what it means to contemplate and enter into the mystery of the cross. During unique philosophy and theology classes taught by Brothers of the Community of St. John, we will take an in depth look at what it means to be fully human. We will discover the place of choice in our lives and learn how to ask the questions that will lead us to the truth. In afternoon workshops, the Brothers and Sisters will address and answer questions on topics relevant to our lives today. Join us. Be inspired by people like you who, despite the obstacles our culture presents, make choices everyday to radically live out their faith. Hear first hand how to be a true disciple of Christ. How to live in the freedom of the Truth. Come and discover that you are not alone in your desire to live for Christ. Meet other young Catholics like you who are striving everyday to live out the Gospel. 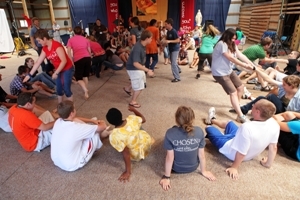 Form friendships that will last because they are founded in truth and centered on Christ. Are you into camping? 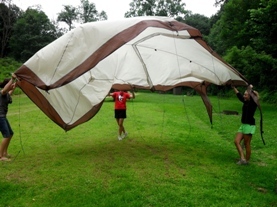 Bring a tent and basic gear. You can camp out with your friends and enjoy an after hours bonfire, complete with all kinds of entertainment (There will also be indoor accommodations for those who do not wish to camp). 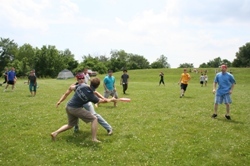 Compete with your friends during the afternoon with ultimate sports and games. Don’t forget your swimsuit (and a t-shirt :)) to cool off with water games afterward. Chill out during dinner as you listen to our outdoor concerts and much more. Come! Hear the Truth; live in Freedom! We encourage you to come the entire weekend but are welcome to come when you can throughout the conference.